Mid Wales is one of Great Britain’s best kept secrets. Many people seem to drive through on their way to the coast or on their way up to North Wales or down to South Wales, but have you ever thought to stop? 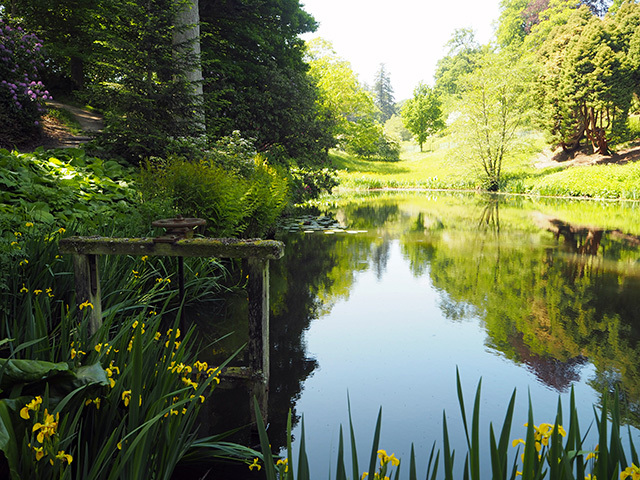 We’re surrounded by stunning landscape, beautiful hills and valleys abound. 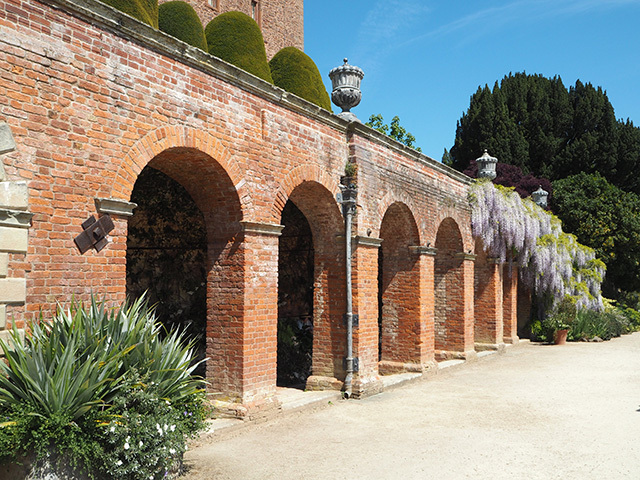 Amongst the beauty, you’ll find castle ruins (such as Montgomery Castle) and Powis Castle, a wonderful example of a castle still inhabited by its Earl. Situated near Welshpool, just a few miles from the English border, the National Trust castle stands proud over the valley, with its beautiful terraces and gardens below. 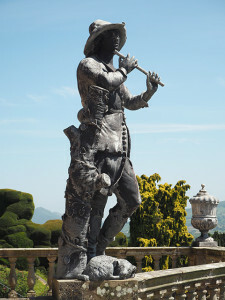 You can spend a whole day there looking around the castle, the Clive Museum and the gardens. It’s well worth a visit! Mum and I decided to have a mother and daughter day out last Friday as it was such a sunny day. 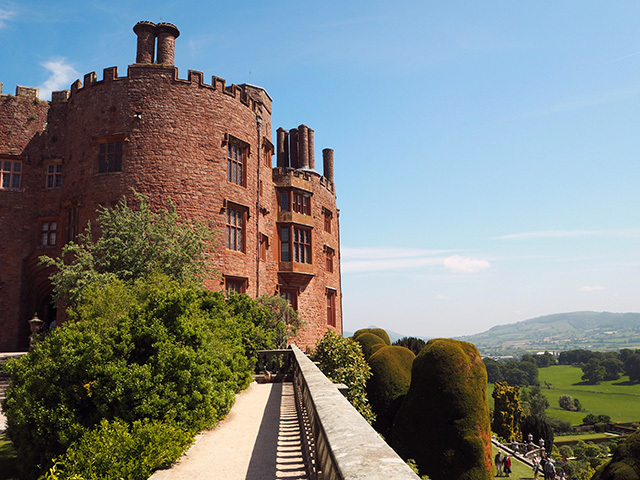 I grabbed my camera and we headed to Powis Castle, which is just a short drive down the road from here. Dad is a regular volunteer at the castle, so it’s not the first time we’ve been there. We didn’t go inside the castle or museum this time, but there’s plenty in there to see including artefacts, paintings, statues, furniture and textiles. The decor is worth a view too. The castle terraces and gardens are magnificently kept. In fact, the gardeners were hard at work whilst we were there. There are so many beautiful flowers and plants in the gardens, and if you fancy you can buy a few of them from the garden shop. The garden’s over 300-year-old yew hedges are so high they have to use a cherry-picker to prune them! There are a restaurant and gift shop in the castle, but we waited until we’d walked the terraces and found the little cafe hidden away at the bottom of the gardens. We had a well deserved Elderflower Presse each, but there are ice creams, scones, sandwiches and other delicious drinks and goodies available. 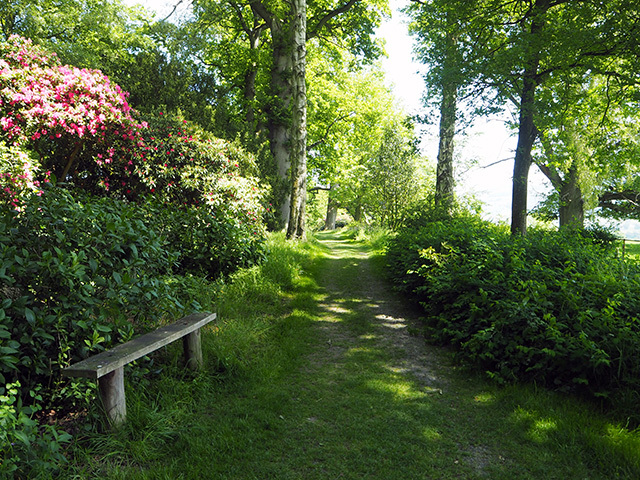 If you visit the castle and gardens, do make sure you venture through the woodlands using the paths to see more beautiful landscape. 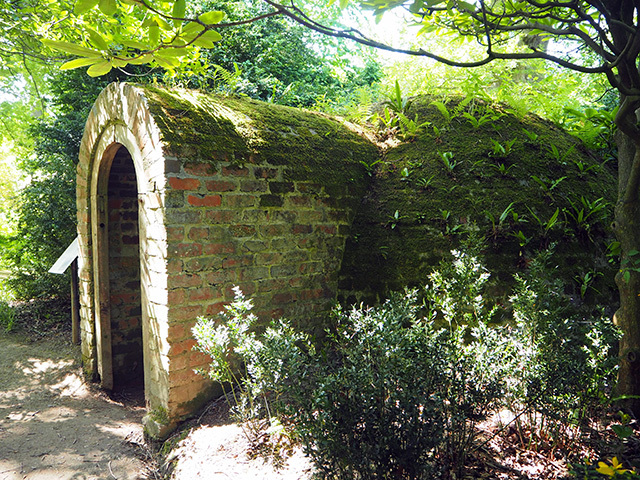 Hidden within the woodlands you’ll find things like The Ice House and the pet cemetery. The peacocks are also a must-see at the castle. 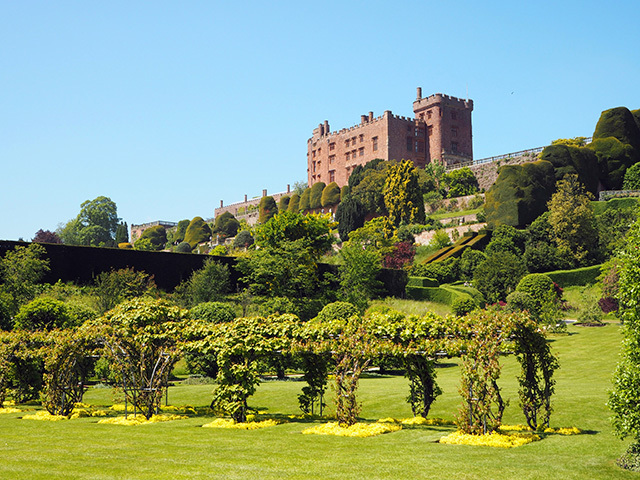 There’s so much to see and do at Powis Castle! For more information, visit National Trust. For other places nearby, try Montgomery Castle. Tagged mid wales, national trust, powis castle, powys, travel, uk. We are NT members and together with my brother and SIL, make it a point to make the most of our membership each year. SIL has been saying for ages that she wants to visit Powis Castle, as it isn’t too far from their Swindon home and is doable in a day. No doubt that when we are visiting them one day, we will all make the effort to undertake the journey, as it does look like an amazing place. Mid Wales sounds a bit like Wiltshire and Somerset, with folks only really passing through the counties en-route to Devon and Cornwall. I loved your whole article. The photos are brilliant. Would love to see it someday. Looks like a lovely place! Great shots. Stunning shots. Definitely on my bucket list! It looks fabulous and sounds like there’s plenty to see and do there. I’ve only been to Wales three times and each time was to Powys. My brother married a girl from Newtown so the wedding was held there even though they came to live in Leeds. The christening of my niece was also held in Newtown so that was our second trip. Unfortunately, the marriage didn’t last and his wife moved back to Wales when they divorced so our third trip was to my niece’s 18th birthday party, Newtown again. How beautiful! Thanks for sharing. I’d love to go there now. What a neat country with it’s beautiful historic castles. My Grandma is from Wales and has shown us many pictures of her hometown of Caerphilly. She loves to talk about it! 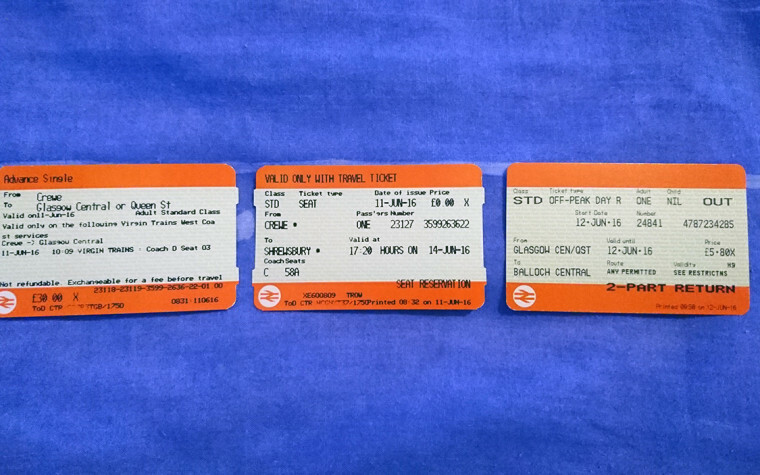 One of my favourite pastimes used to be visiting castles, museums and stately homes etc. Alas not so easy to do so these days, it is therefore always such a pleasure when I get a virtual tour of these places. Great post and such wonderful photos as well, thank you for sharing your visit. What a delightful post! I would love to see this in person, but your gorgeous shots were the next best thing. I have a real weakness for castle and cathedral architecture. Even ruins captivate my imagination. Fabulous photos Nikki. We’ve visited Powis and it’s what I call a proper castle! Fantastic inside and out. The gardens are superb. 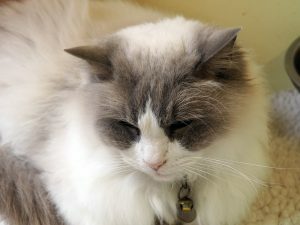 Hi Nikki, we are NT members but have never visited Powis. It looks amazing, and I’ve just this minute marked it in the NT book and will be sure to visit next time we are out that way. Your photographs are stunning btw. WOW! I love that picture of the castle taken from a distance. That is gorgeous. And quite a view the castle has, as well! Such beautiful greenery.